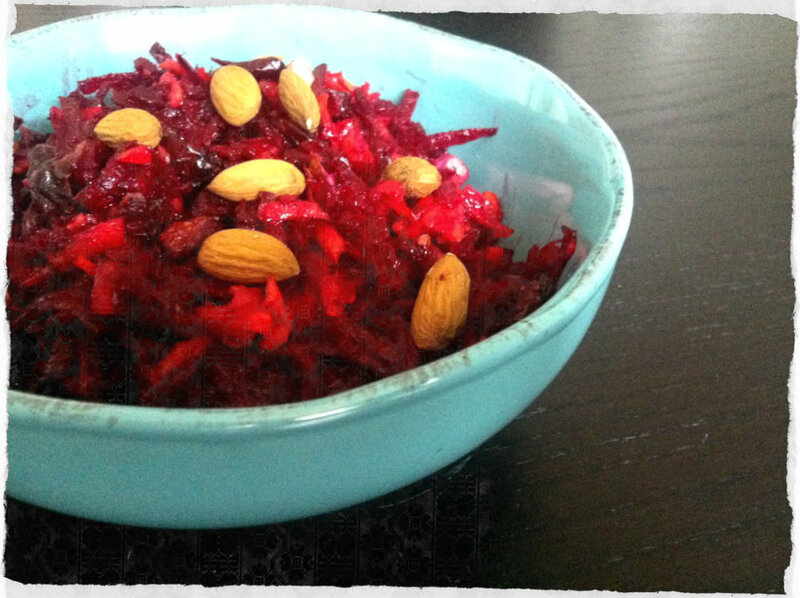 I have really started to enjoy beetroot salad – never thought that I would say that. Grate beets and carrots on the coarse side is grater. Mix it with dried cranberries and almonds in a bowl. Pour dressing over and mix well together. Last weekend we were in Skanderborghus in Jutland and drove up to Aarhus for a few hours on Saturday. There we found some really fine turquoise bowls and mugs in the store Salling, which has now become the favorite porcelain at home. And of course it doesn’t hurt that this salad looks amazing in the bowl.